Please refer to our "Policies" tab for more information regarding shipping estimates and services available. 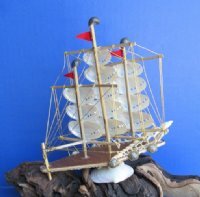 Shell boats or shell ships wholesale have pearl abalone shell sails and are accented with center cut turritella shells. 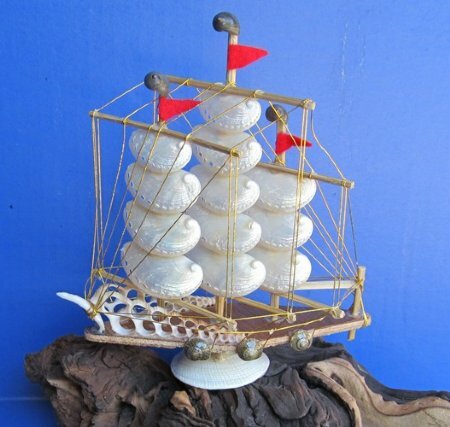 These shell boats souvenirs or shell ships souvenirs measure approximately 6 inches wide and 7-1/2 inches tall. 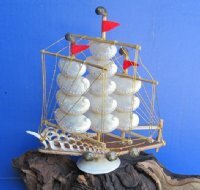 Shell boats and shell ships are a popular shell souvenirs for tourists and are collected by both kids and adults.